Meat Market is one of Melbourne’s most unique venues for hire, boasting flexible event spaces able to be tailored to your needs. 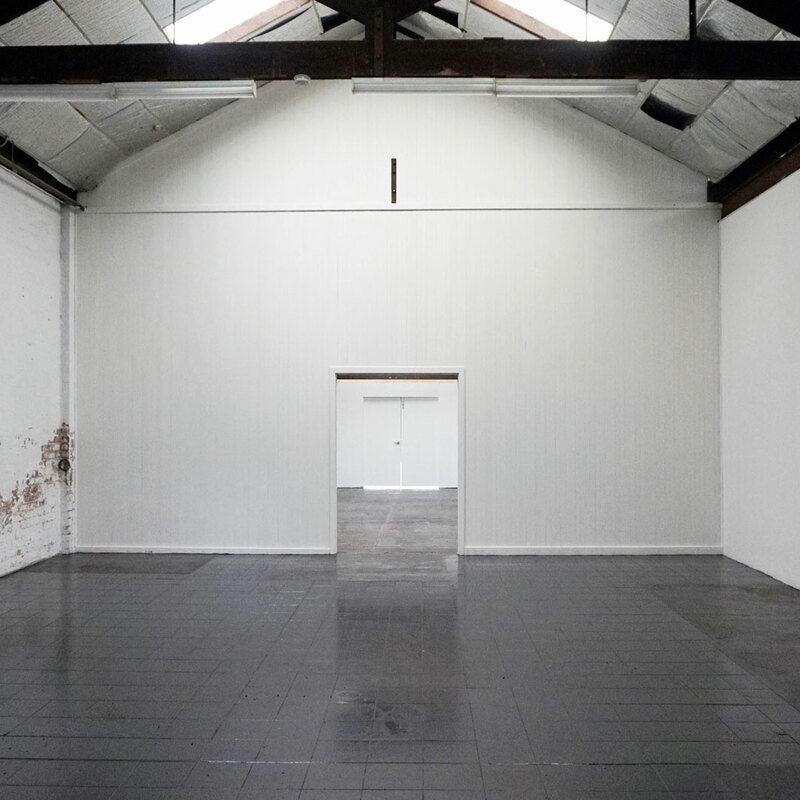 From performance space and exhibition venue hire to rehearsal space and small group meetings, Meat Market’s flexibility and versatility is ideal for events of various sizes. One half of the Main Pavilion, the Flat Floor Pavilion is a versatile events and performing arts space. With a capacity of up to 440 people, the elegant and open space features seven lighting bars over a flat sprung floor, three phase power and climate control. With a multitude of configurations, the space is ideal for theatre productions, sit down meals, functions, performances and markets. Combine hire of the Flat Floor Pavilion with the Cobblestone Pavilion for full reign of the entire Pavilion space with a capacity of 850 people. 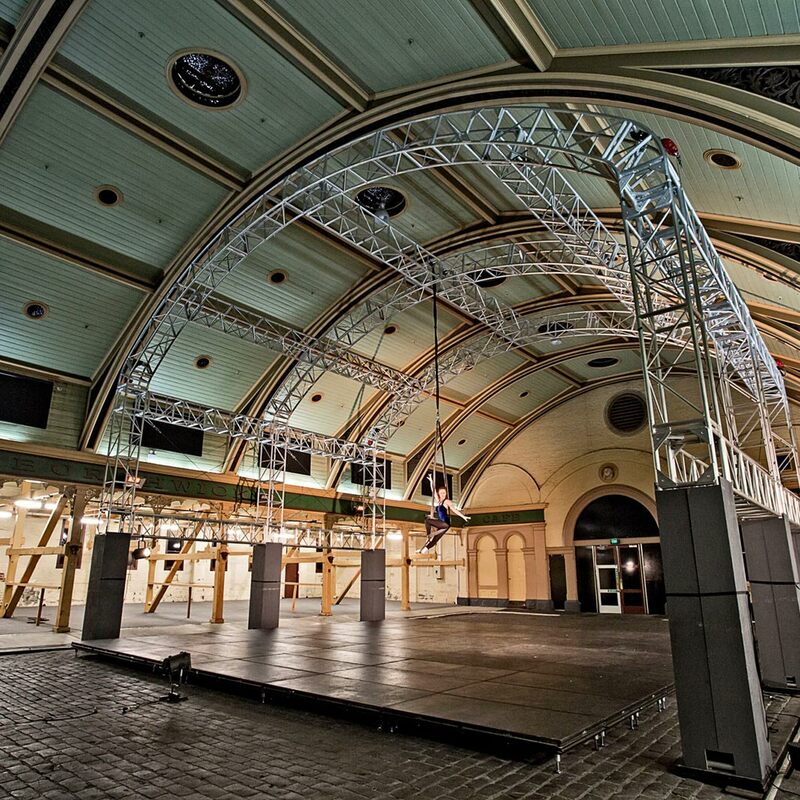 A unique heritage listed venue hire opportunity, the Cobblestone side of our Main Pavilion features a commercial kitchen and an 11m x 9m 200mm high stage beneath a custom-made circus truss. Able to accommodate everything from aerial performances to corporate conferences, the Cobblestone Pavilion embraces the stunning heritage of Meat Market while delivering on the contemporary technical expectations of a performance venue. Combine both sides of the Pavilion for large scale arts hire or corporate venue hire. A small group space seating up to 70 people, the Meeting Room is a flexible space incorporating natural light, climate control, a data Projector and PA system. 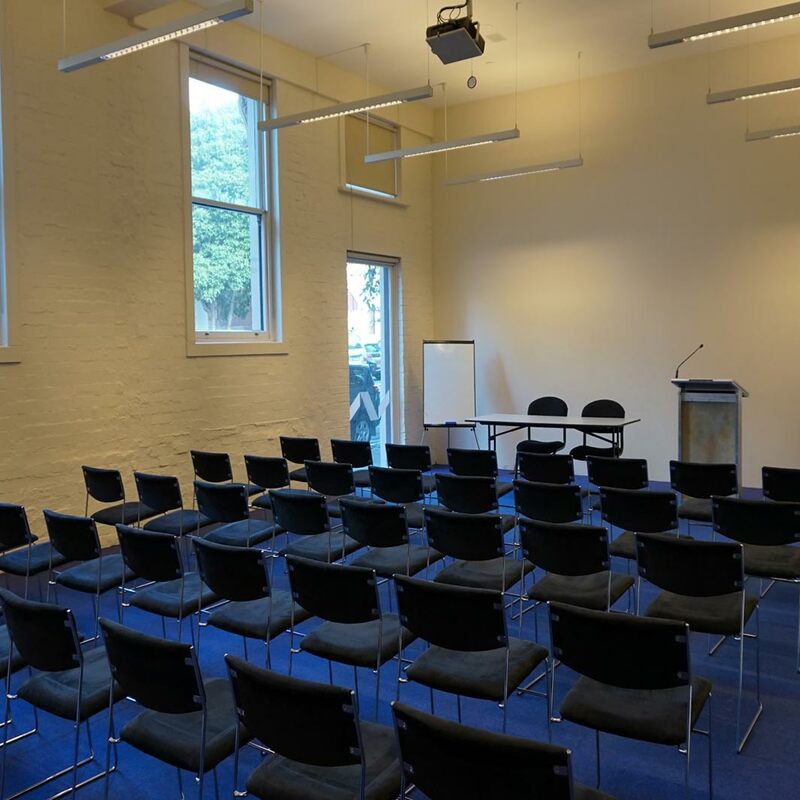 An ideal corporate venue hire solution for small groups, hold your meetings, seminars, training sessions and classes in our flexible space. A warehouse-style performing arts space, Meat Market’s Stables combine three large rustic rooms with concrete floors, natural light, soaring ceilings, semi exposed brick walls and exposed wooden trusses. 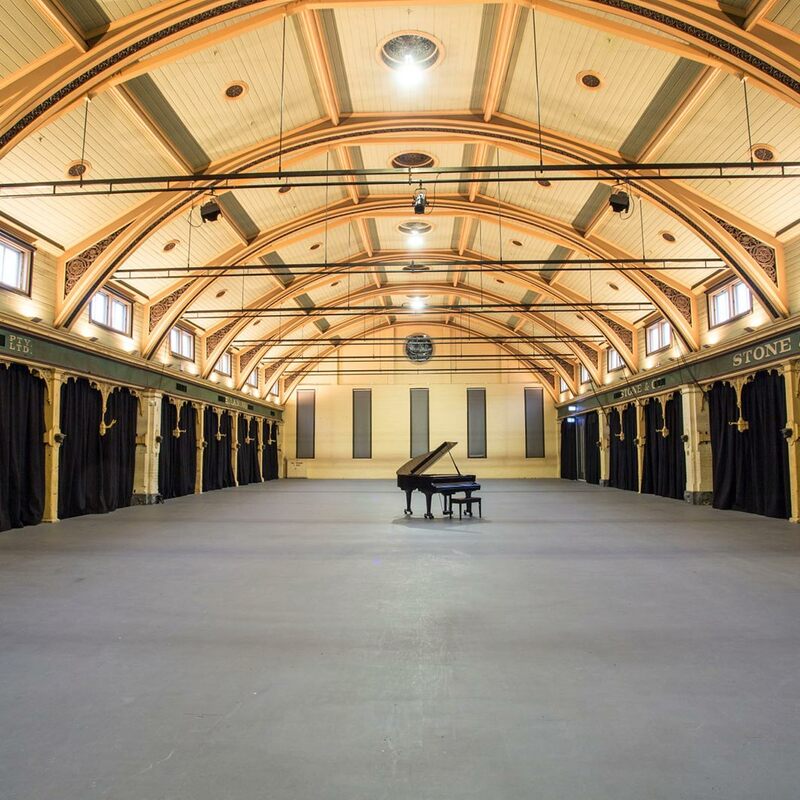 For a quintessentially Melbourne rehearsal area, performing arts space and exhibition venue hire, choose Meat Market’s Stables. 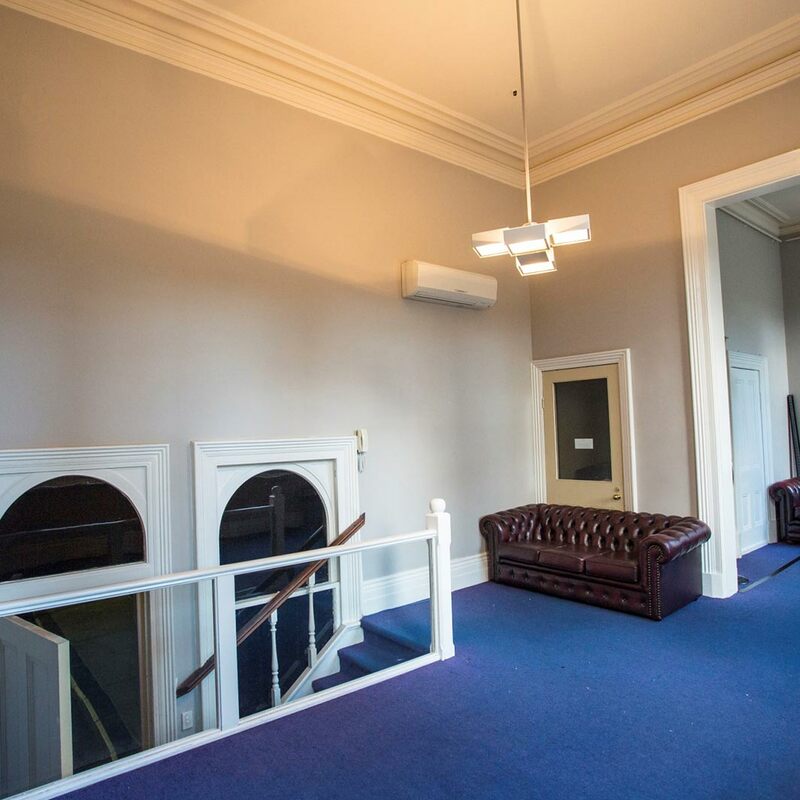 Accessed through the Cobblestone side of the Main Pavilion, the Old Cafe is a fully carpeted small group space featuring natural light and heating – ideal for small meetings and rehearsals. Able to be hired alongside the Cobblestone side of the Main Pavilion, add a warm up space, production office or dressing room to your performance space hire.